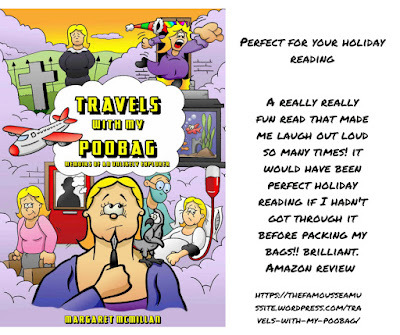 Why on earth would anyone call a book Travels with my Poobag? I didn’t discover the joys of traveling until I hit 40, after the traumatic separation from my husband. I suffered from anxiety and depression, and had to undergo many surgeries, but I soon learned that the one thing that always picked me up was foreign travel. If this book has a message, then it’s that, no matter who you are, if you want to do something badly enough, then just go for it and carry on regardless. 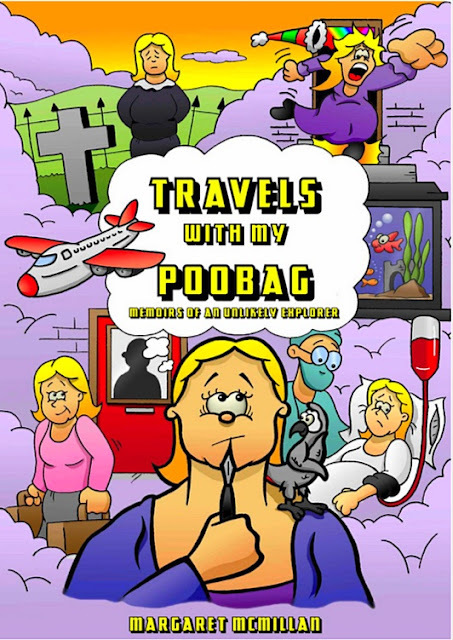 Margaret, what’s the story behind the title of your book?It is about my struggles in life with chronic bowel problems (hence the Poobag, my term for colostomy), anxiety, depression, relationship problems and life in general. I wanted a fresh start so I became a locum biomedical scientist and worked away from home traveling around the country to various locations. This gave me the travel bug and inspired me to become a sole traveler overseas. Mishaps and humour has also been an integral part of my life and is full of laugh out loud moments and some unbelievable ones. I’m sure many people can identify the issues in their own lives. It is also to encourage others to embrace life whatever the circumstances. This is a stand-alone book, but I am working on a book about growing up in Glasgow with anxiety in the 70’s, the trials, tribulations and humour then. My family was notorious for mishaps on holiday even back then. The outskirts of Glasgow is my base, can feel at home anywhere when on my travels. That’s hard, there has been so many, but I would say a flapper dress that I knew I would never wear and wouldn’t fit into anyway. Not to prepare too far ahead as things always change or you are lead on a different direction. I suppose what I’m saying is to take one day at a time. The scenery and quiet. We overlook the Campsie fells and farmland, but are still very close to the city. I was sprayed from head to foot on a country road by the muck spreader. I would definitely say that counts! What is the most daring thing you've done? Switched off the power to a cooker that was ablaze in a neighbour’s kitchen. Again, many to choose from. Got into a car with two strange men when on holiday in Turkey. Amputated my finger in work accident. Yikes! What’s one thing that you wish you knew as a teenager that you know now? Life isn’t over when you don’t do as well in your exams as you hoped. Being with people who don’t have anything interesting to talk about. There are simply too many of these to list, but I would say my colostomy bag leaking on a flight to Tenerife and being covered in poo. Double yikes! What choices in life would you like to have a redo on? Probably wouldn’t as it is the past that has shaped who I am. Traveling, eating, listening to music and photography. Not now. Worked as a biomedical scientist but took early retirement owing to ill health. Like everyone else I am many people and have many traits, some good, some not so good. I met my husband at work. We started off as good friends and had a laugh together it just blossomed from there. would be my computer as it has all my music, photos and writing on it. My life in a nutshell. Yes, it’s about my life. J.K Rowling, Jane Austen. Rick Wakeman as he recounts laugh-out-loud stories. I love humorous autobiographies. I’m reading one of Graham Norton’s books in paperback. I don’t like e-books I prefer a book that is tangible. No, just when I feel in the right frame of mind and get peace and quiet. I always write in bed, can’t concentrate or get comfortable anywhere else. Making someone laugh and raising their spirits. The eulogy for my husband’s funeral. It was even harder to read it without breaking down. It would be tidy and organized, the complete opposite to what I am. 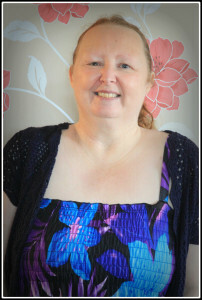 Margaret McMillan was born and raised in Glasgow where she first trained as a pharmacy technician and then as a biomedical scientist, studying part time at Glasgow Caledonian University whilst working in one of the city’s major hospitals, where she met her husband. Life was anything but easy, as he suffered from bipolar disorder and often ran on a very short fuse. The fact that Margaret had suffered from anxiety and depression from an early age and was painfully shy did not help matters. Sadly, after almost ten years of marriage, she simply couldn’t take anymore and left him for the sake of her sanity. Her mental and physical health were in a terrible state and, not to put too fine a point on it, she was suicidal. After intensive therapy from various sources, Margaret left her job of sixteen years and made the previously unthinkable transition into becoming a locum and traveling around the U.K. and Ireland taking on contract work. This gave her a sense of freedom and confidence that she had never enjoyed before and opened up the world (literally!) of foreign travel to her. 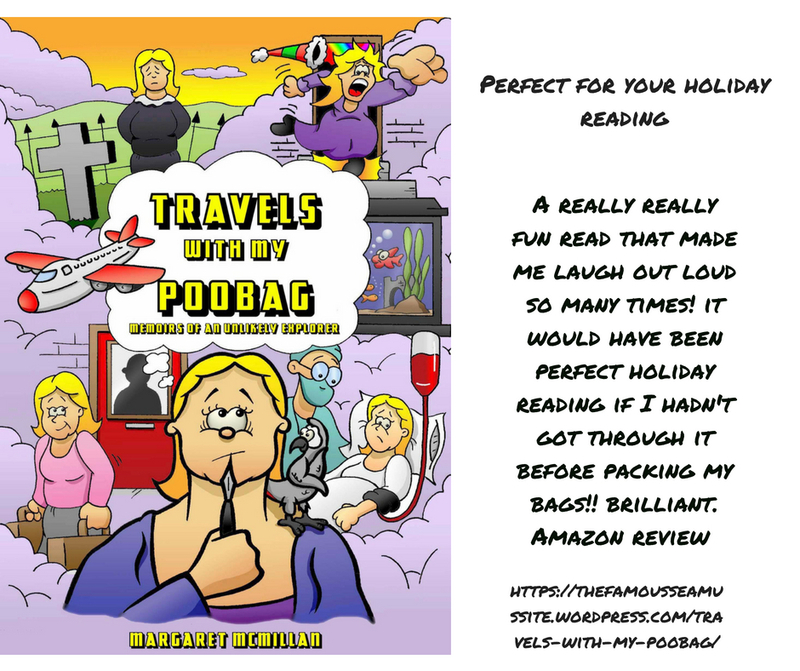 Travel has become a huge part of Margaret’s life and she’s always off on adventures, although her continued ill health means that she always seems to be either coming down with or recovering from some malady or other (not that she lets it stop her). 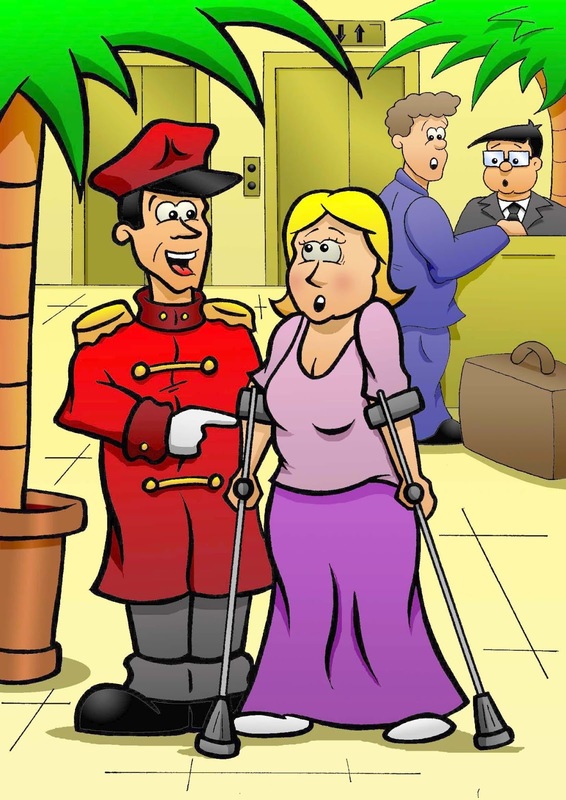 She’s extremely accident prone and clumsy which doesn’t help matters, but she has a wicked sense of humour that gets her through the hard times and is a great tool for life in general. 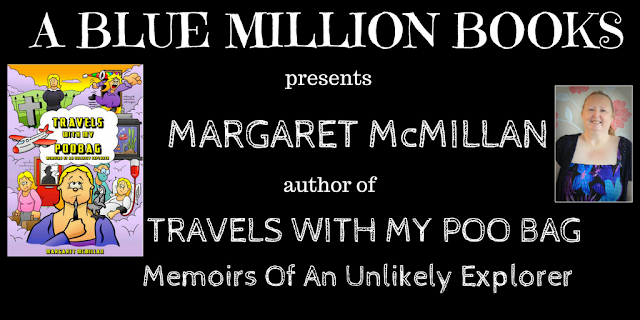 Margaret’s writing started as a form of therapy. She has always loved a good story (something she inherited from her mum), and found that writing about her mishaps and experiences helped a great deal, as well as being rather entertaining. Taking early retirement gave her the opportunity to concentrate on her little adventures and indeed, on writing about them. Life still throws a fair amount of challenges and stress her way, but you just have to deal with it and get on with things, don’t you? Music is another passion of hers, especially music from the seventies. She is a strange hybrid of disco diva and rock chick! 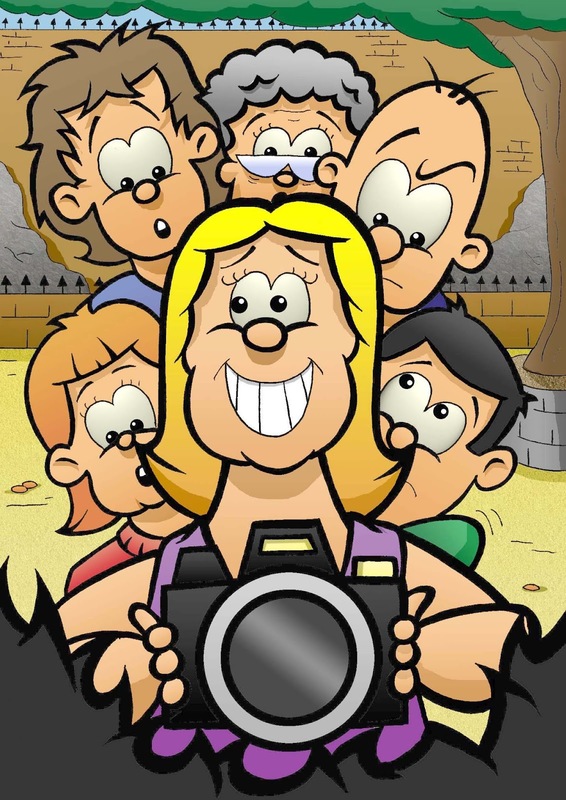 She also loves photography, especially when she’s on her travels, and she takes several thousand photographs on every trip, doing her best to capture and immortalise the architecture, landscapes, seascapes and natural wonders of the places she visits. Margaret currently lives just outside Glasgow with her brother James and two African Grey parrots.